Look at our bag and shoe shop. We enjoy measuring our feet on the chart before we try the shoes on. 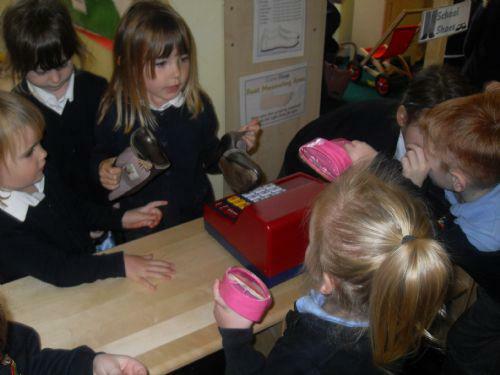 We talked about our experiences of buying shoes and then we played shoe shops with Mrs Fawcett and Mrs Lee before we played it on our own.